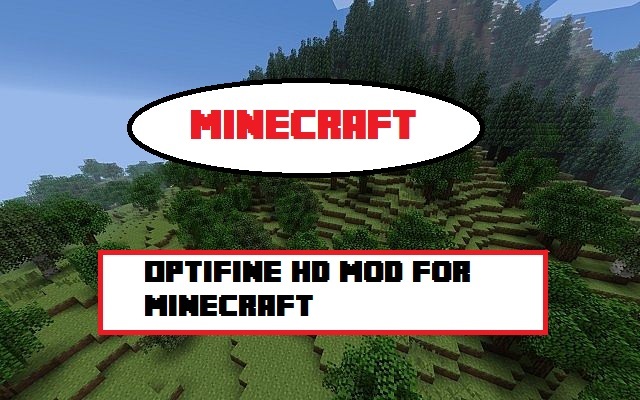 Download OptiFine HD Mod file below (File Exe and Jar extension) according to your game version. Download and Use Minecraft Forge 1.7.2 installer to install Minecraft Forge. Run the game once to complete Forge installation. Now, Go to Start Menu > Type %appdata%/.minecraft/mods and hit Enter key. Move the Mod Jar file into the mods folder you downloaded in Step #1. For this version, you need to manually drag and drop all mod’s files into the Minecraft.jar. No forge required. If you have previously used MCPatcher, unpatch all its features and revert to default texture pack. This mod is compatible with ModLoader, Forge and other popular mods. 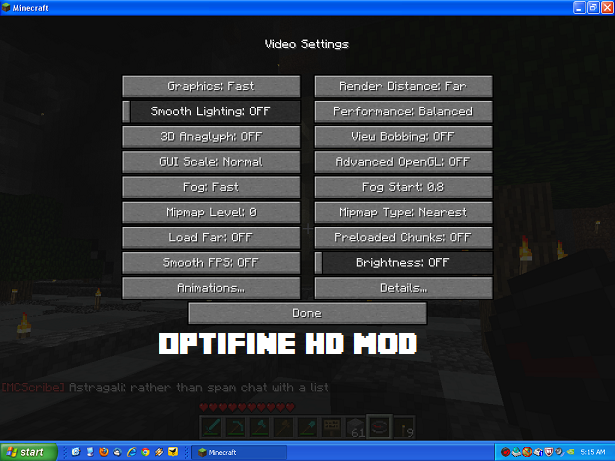 OptiFine may not be compatible with other Forge mods, so better install it on fresh copy of game first. Make sure you have latest version of Java installed in your operating system. FPS boost – Makes a significant change (2x) in your game performance. Support for HD Textures – Automatic installation for HD Texture packs of any size, makes MCPatcher HD Fix obsolete..
Configurable Smooth Lighting – Smooth lightning with better shades. Smart Advanced OpenGL – Enchanced Graphic card support. Fast Texturepack Switching – Switch texture packs w/o quitting game. Debug – Helps you recoever if something goes horribly wrong. Time Control – Control time in creative mode.